Running back Matt Forte surprised kids at the James Jordan Boys & Girls Club. 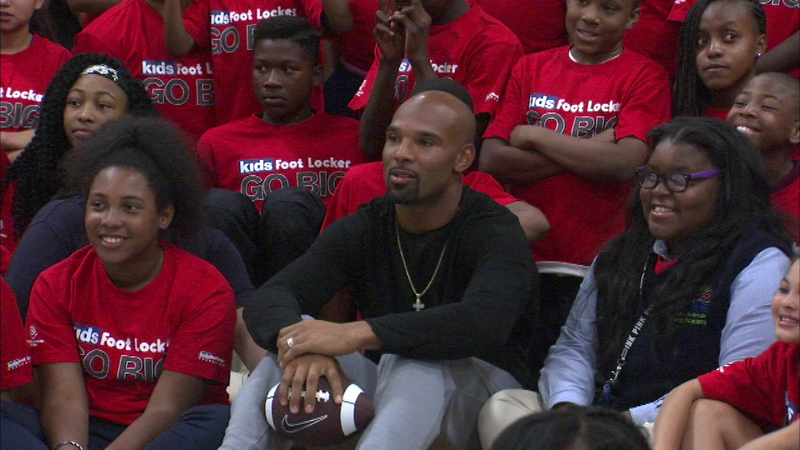 CHICAGO (WLS) -- Running back Matt Forte surprised kids at the James Jordan Boys & Girls Club. He kicked off a contest among local Boys & Girls Clubs to see which can get the most kids active for an hour a day over six weeks. The winning club gets a $10,000 prize.